It' time to get In Tune with your Chrysler Trucks and SUV's! We have it just what your looking for here at PDOffroad. The Diablosport i2010 i2 inTune Performance Programmer gives your Chrysler the performance you need when it matters the most. If you’re a horsepower junky and you need a fix, look no further. 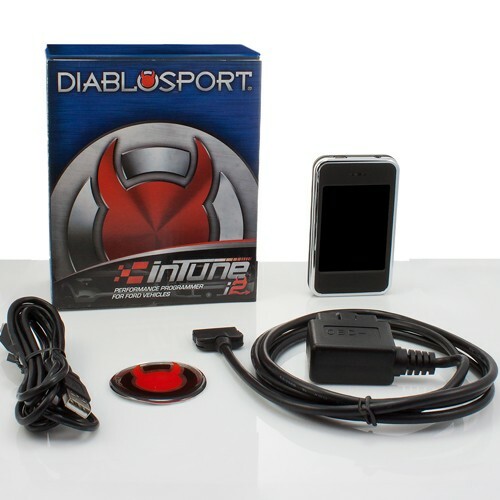 DiabloSport’s number one goal is to make it easy to upgrade vehicle performance with the inTune i2 performance tuner. It’s an easy way to boost your trucks power without even popping the hood! If you’ve ever wished you could buy a performance upgrade that makes the throttle more responsive, optimizes shift patterns, or even adds some bottom-end horsepower, you’re in luck- the i2 tuner is loaded with cutting edge performance programs and vehicle adjustments that optimize performance. Will not ship to California! Not available for sale or use on pollution controlled vehicles in the state of California. Shipping for this item is FREE in the United States except Hawaii & Alaska. We are an Automotive Accessory Store and are a Diablo Sport Dealer that specialize in Truck, Jeep, and Offroad Accessories. We have or can get almost any Offroad or Performance part you need so if its not listed please feel free to give us a call.